- Under the Direction of Fresh Inc. 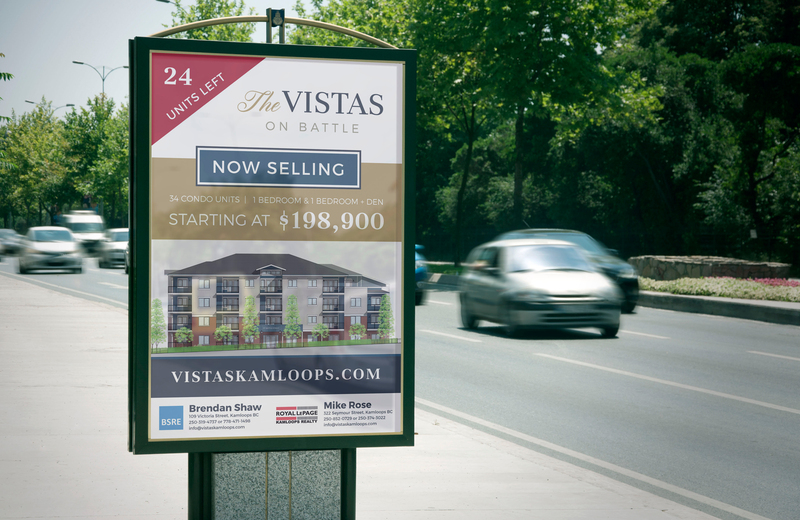 Located in the historic neighbourhood of the 700 block of Battle Street, The Vistas on Battle is Kamloops’ newest condo development downtown. Matching both luxury and comfort at affordable prices, The Vistas on Battle has incorporated well appointed interior finishes like granite/quartz countertops and engineered hardwood floors in the build of each unit. The team at Fresh Inc. had the exciting challenge of marketing this new project and helping paint the picture of what a resident could expect living there, prior to its construction. 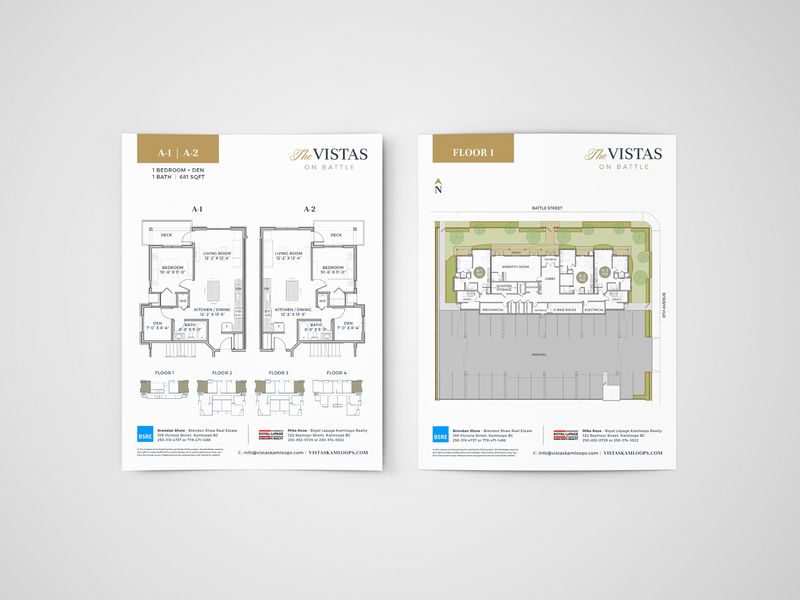 A contemporary wordmark focusing on elegant typography and a palette of understated colours are featured to give the potential customer a feel for the luxury one would expect of this brand new condo development. 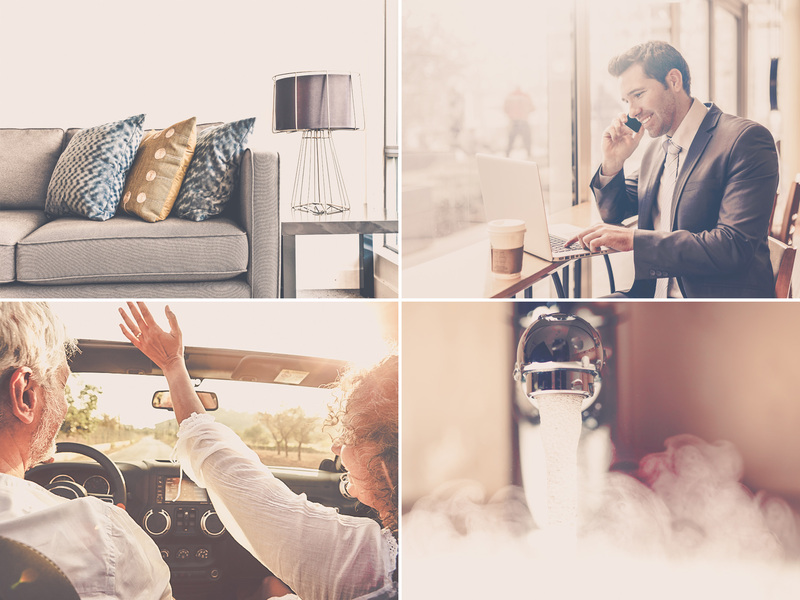 The development of the brand rolled out seamlessly over a number of mediums, both online and off line, including: Logo and brand development, sales brochure, suite and floor plan sales sheets, and signage.